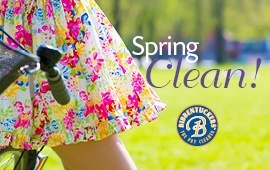 Bibbentuckers, an Eco-Friendly Cleaners, is now an active participant in the FabriClean Supply Poly Recycling Program. Plastic bags always cover clothing returned from the dry cleaners. The question that requires answering: What should happen to the plastic bags? 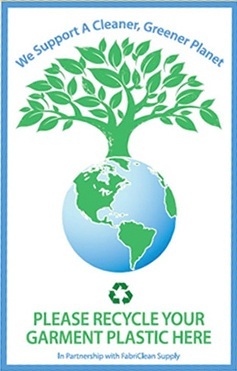 Most plastic dry cleaning bags are recyclable. Dry cleaning bags comprise low-density polyethylene (or LDPE). This particular type of thin, clear plastic is called “film” in the recycling industry. High-density polyethylene (or HDPE) makes plastic shopping and trash bags. Besides turning old bags into new ones, both types of plastic can easily make lumber, tile and a number of other consumer products. Being a Good Samaritan in life takes lots of different roles. One such role is recycling and that’s why Bibbentuckers will take back our plastic bags and send them to a recycling center rather than to a landfill. We try and do our best for our community in lots of different ways and we would love our customers to join us by returning their plastic bags. Bring your dry cleaning plastic bags into any of our stores, and we will recycle them for you. With your help, Bibbentuckers can help make the world a greener place.